Somehow, I’ve landed the job of writing the FAQ for the F733 ZIPPELIN. Me, of all people. Let me paint a picture: I’m the kind of person who never goes on holiday, who thought bouldering was a new card game, and who could care less about doing a round-the-world trip. I would’ve stopped cycling a long time ago, except it’s too far to walk to pick up my kid. So I use a motorized bike to drive to kindergarten, turn up without a hair out of place and blend in with all the super-fit, health-conscious, by-the-book parents – with nobody any the wiser. In other words, I’m hardly the embodiment of the F733 ZIPPELIN’s ethos to get out there and explore the world. Still, after 13 years of working for FREITAG (with a decade (!) in customer care), I’m pretty adept at working miracles. To that end, watch me now transform myself from a couch potato and e-bike enthusiast who appreciates his home comforts into an athletic globetrotter who loves getting stuck into new cultures and has a thing for design and functionality. CUSTOMER BOT – ROLL OUT! HOW CAN I CARRY MY ZIPPELIN? Through this change we were able to keep the carrying option over the shoulder whilst improving access to the main compartment. WHAT’S THE RIGHT WAY TO PUMP UP MY ZIPPELIN? Pump up the inner tube inside your F733 to 1.7 bar (25 PSI). 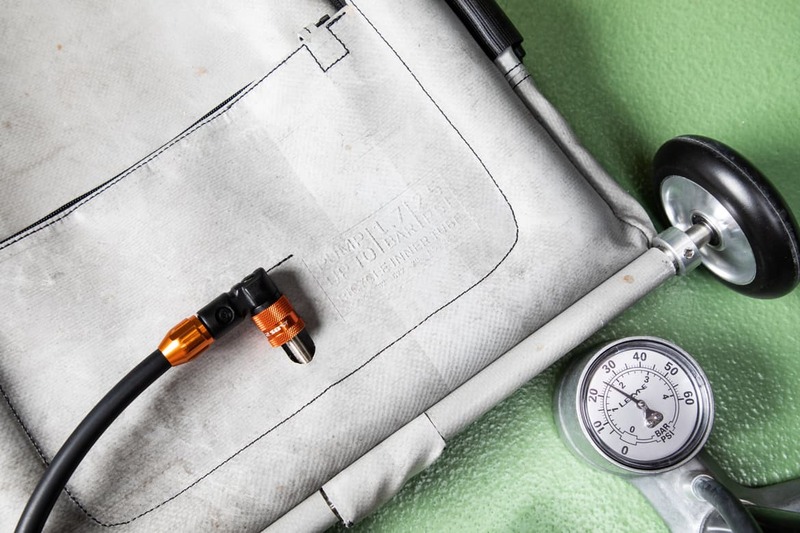 If you don’t have a pump that shows the pressure and you’re not sure how much air has already been pumped in, we’d recommend paying a visit to a bike store. 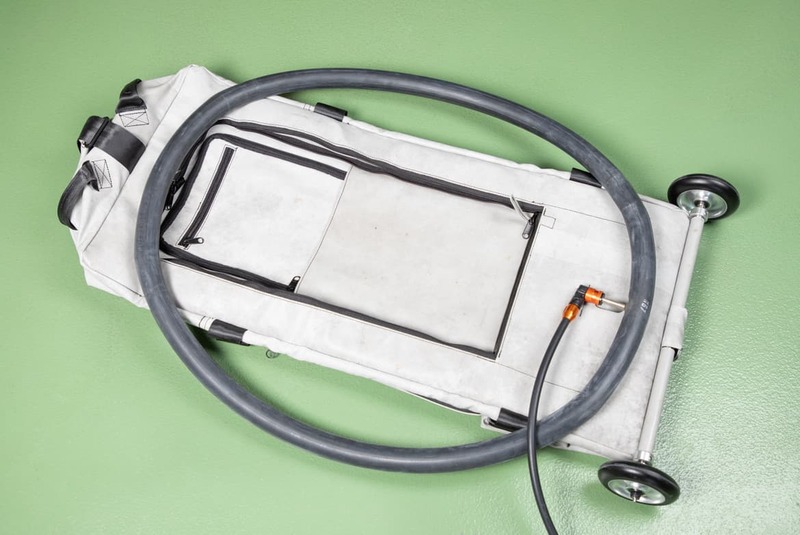 You don’t want to put too much strain on the tube by pumping it up too much. 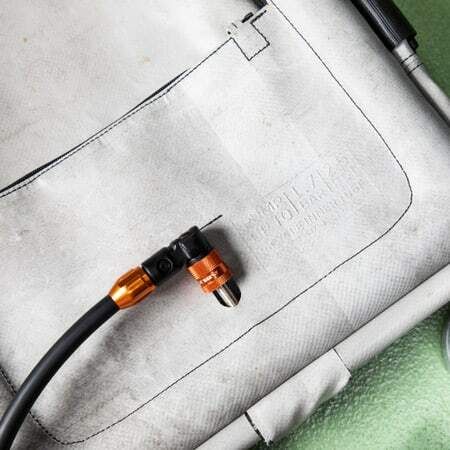 And here’s a tip for those who might not have a clue when it comes to pumping up tires but are whizzes in the kitchen: an inner tube pumped up to 1.7 bar should feel like a steak that’s well done. Just to be clear: this is how a steak feels when it’s well done. 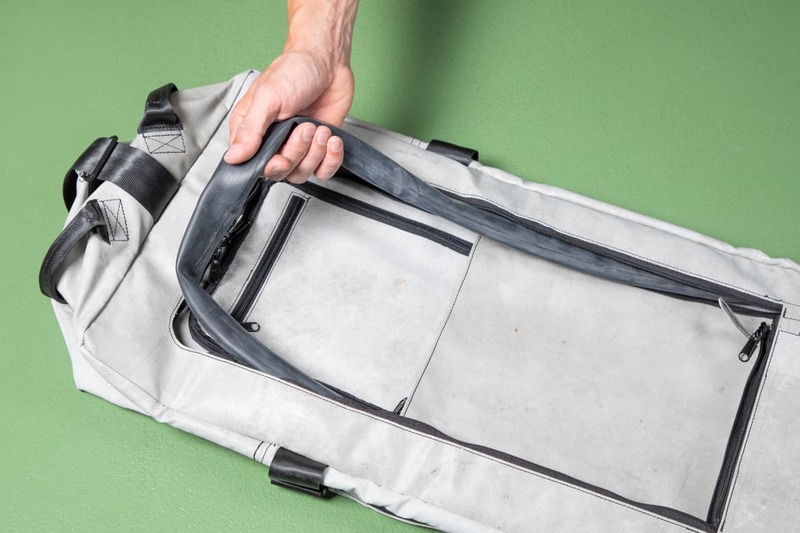 WHAT’S THE BEST WAY TO PACK MY ZIPPELIN? 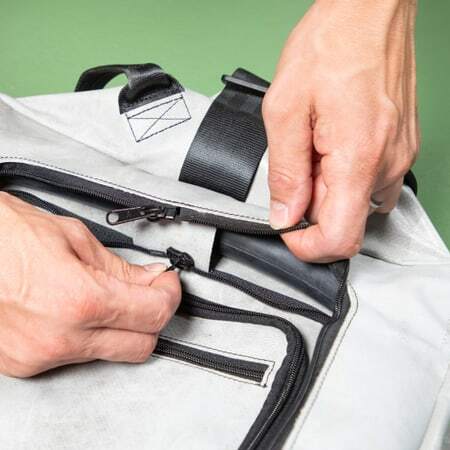 Generally speaking – and this goes for any bag – you should pack your belongings like this: place the heaviest things at the bottom, making sure there is no space for items to move around, and then work your way up layer by layer. 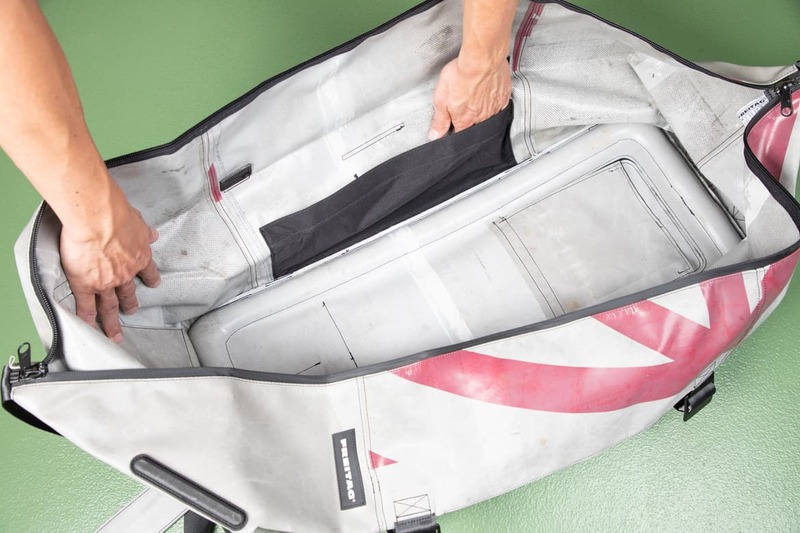 Once you’re done packing your F733 ZIPPELIN, close it, stand it up and give it a couple of vigorous shakes to get your belongings to settle properly. This will stop the ZIPPELIN from tipping over when you put it down. 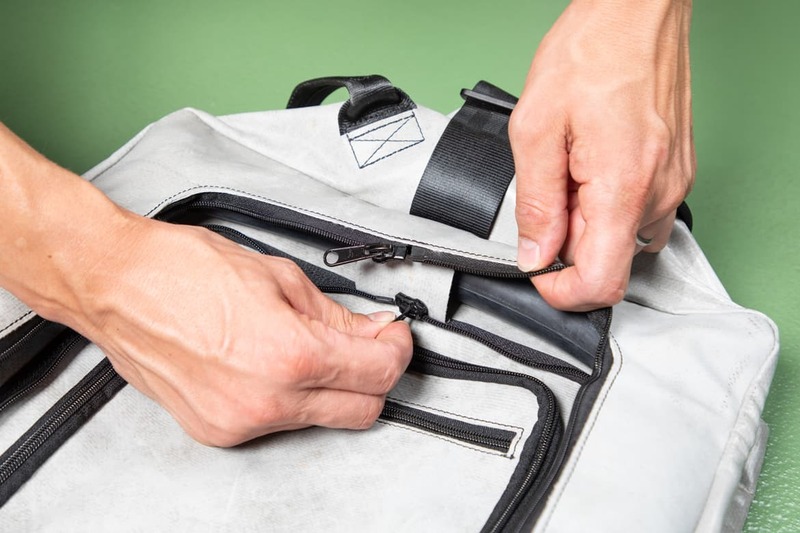 You can tighten the compression straps on the sides to make it even more stable. HOW MANY COMPARTMENTS ARE THERE ON THE INSIDE? 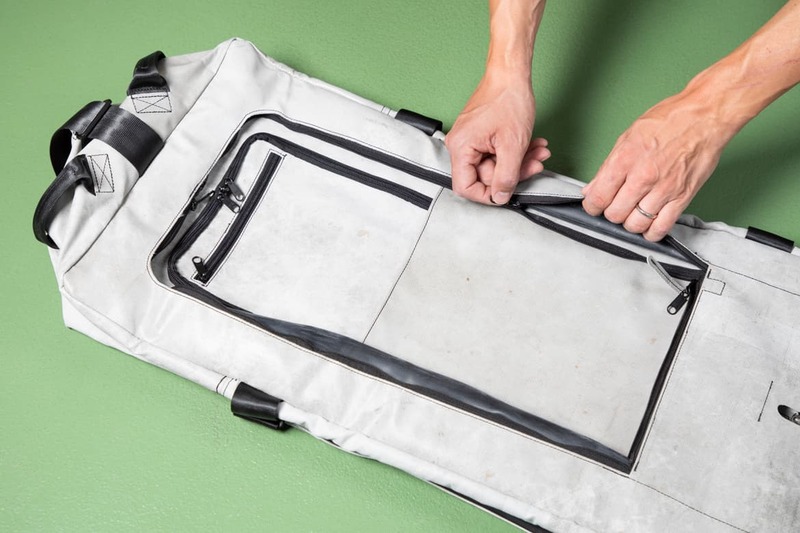 There’s not much to see on the inside, and the bag has just a single pocket on the side. 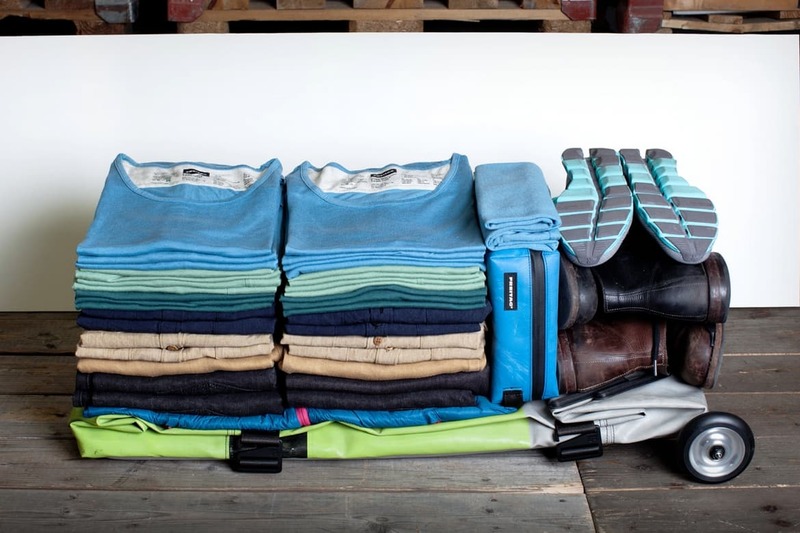 Then again, the F733 ZIPPELIN is designed to provide enough space to transport your things, not to be split into a bunch of compartments. I NEED SOME THINGS WITHIN EASY REACH: MY PHONE, PASSPORT, LIP BALM, ETC. WHAT’S THE BEST PLACE FOR THEM? 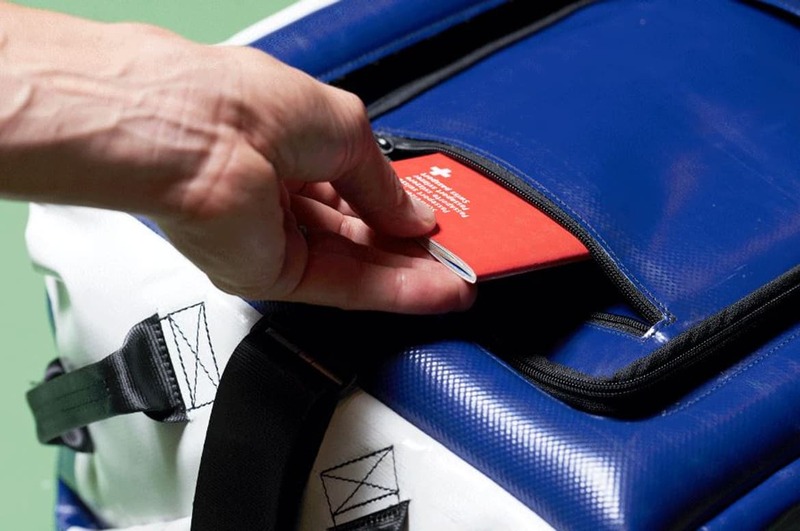 Simple: use the zip compartment that the eggheads in Product Development thoughtfully included on the back of the F733 ZIPPELIN. CAN I LOCK MY ZIPPELIN? Yep, you can. 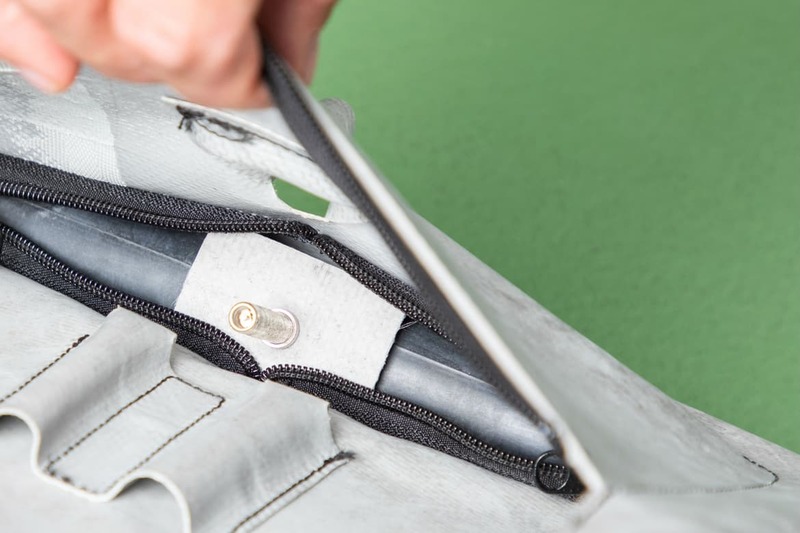 If you’re worried about people snooping around in the main compartment of your ZIPPELIN, you can use a standard padlock to lock the two zippers together on the outside. You can do the same for the quick-access compartment on the rear as well. DOES THIS MEAN I HAVE TO START TAKING A BIKE PUMP ON HOLIDAY WITH ME NOW? No, there’s no need for that. Unless, of course, you’re one of those people who always unplugs everything in their apartment before heading off on holiday. 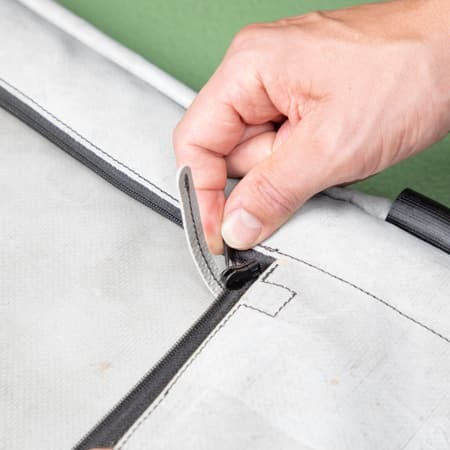 If you don’t want to leave anything to chance, your F733 ZIPPELIN is spacious enough to pack a pump and a repair kit. 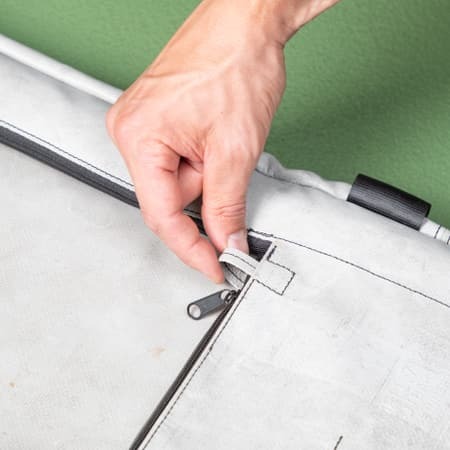 But we’d like to stress there is very little risk of your ZIPPELIN becoming as flat as a pancake – after all, the inner tube is not subjected to much stress at all. 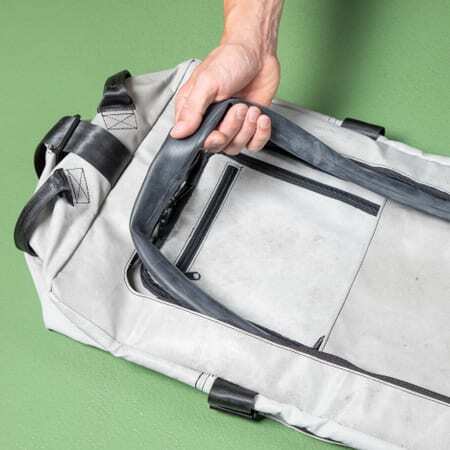 Much more strain is placed on the inner tubes of your bike when you’re furiously pedaling somewhere, and it’s not like you get a flat tire every day, is it? HOW DO I TAKE THE WHEELS OFF? push in the pressure pin and pull the wheels off carefully. Do the same for all of them. SHOULD I TAKE THE WHEELS OFF BEFORE CHECKING IN? We’d recommend that you do. It’ll prevent them from getting lost or some bored soul taking them off for ‘fun’ when the ground crew is putting the luggage aboard the aircraft. It’s always better to be safe than sorry. 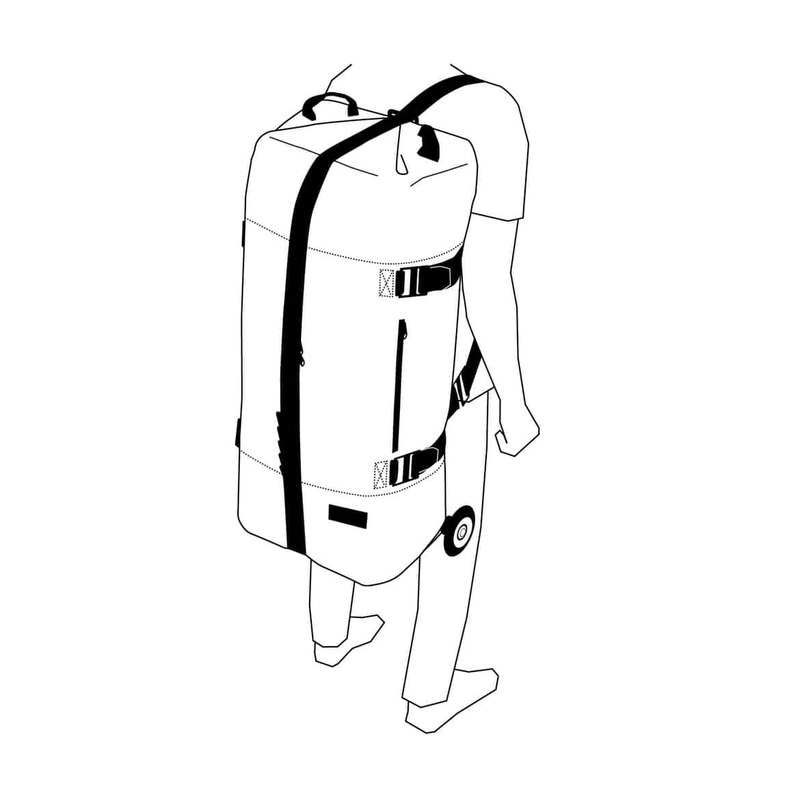 Even so, if you no longer had the wheels, you’d still be able to carry your F733 ZIPPELIN over your shoulder or at your side (options 2 and 3) as indicated above. But in any case: take off the wheels at check-in and store them in the integrated pouch. 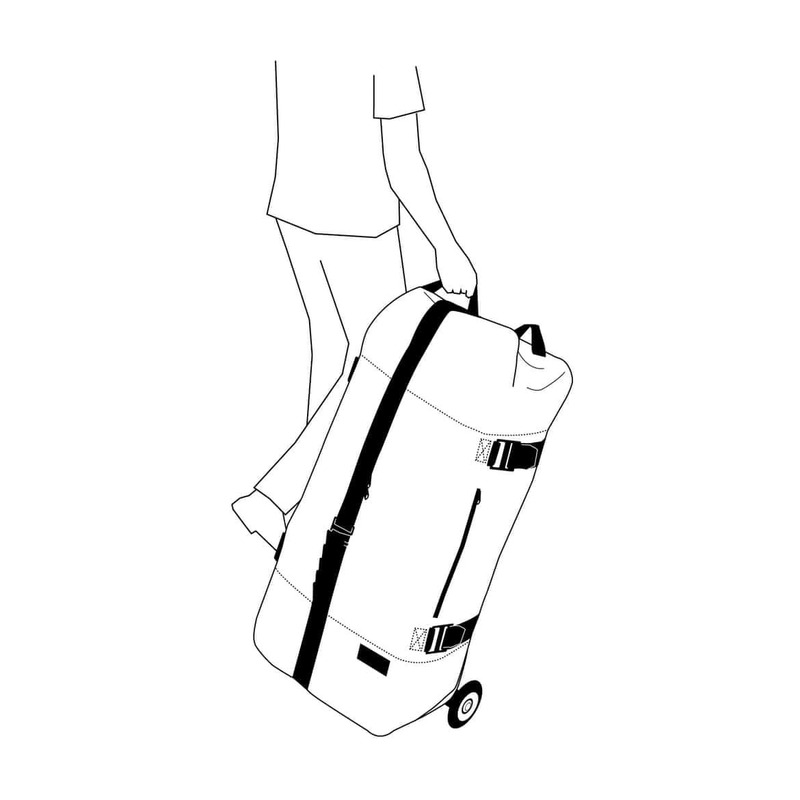 CAN I TAKE THE ZIPPELIN ON BOARD AS HAND LUGGAGE? No, it’s too big (L85 x W42 x H25 cm). 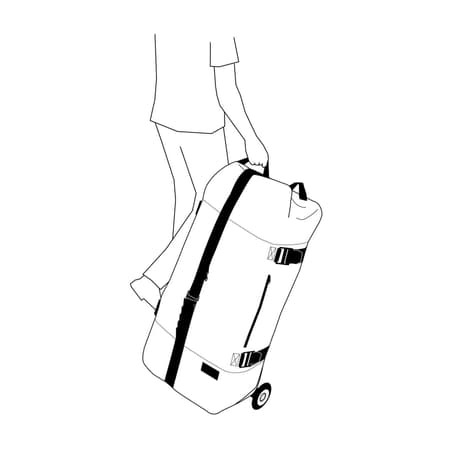 Our F512 VOYAGER is a good hand luggage option and can be stowed easily in the overhead compartment. DOES THE F733 ZIPPELIN WORK EVEN WITHOUT PUMPING IT UP? Nope – that’s the whole point of designing it around an inner tube. 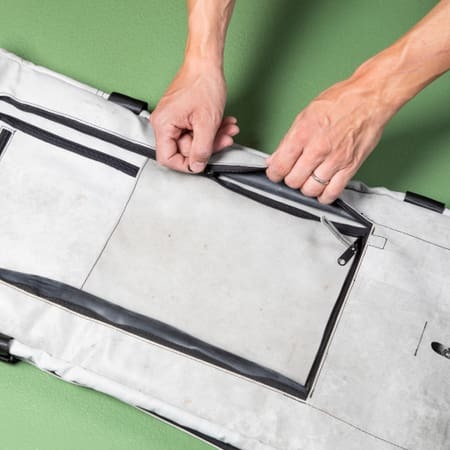 It needs to be pumped up, because it keeps the bag stable and in its intended shape. IS THERE A RISK THAT MY ZIPPELIN WILL EXPLODE IF I DON’T LET OUT THE AIR BEFORE TAKE-OFF? No, it’s perfectly safe. Just leave the air exactly where it is and don’t worry about it. 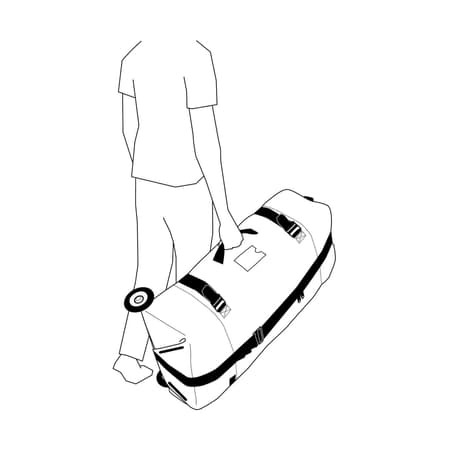 Also good to know is that the inner tube will have no problems dealing with the air pressure level in the aircraft’s cargo hold. WHAT’S THE BEST WAY TO ROLL UP MY ZIPPELIN? WHAT KIND OF INNER TUBE DO I NEED IF I HAVE TO REPLACE THE ONE I HAVE NOW? You’ll be able to find a replacement tube at any bike store, wherever you happen to be. IF THE INNER TUBE IS PUNCTURED, CAN I REPLACE IT MYSELF WITHOUT HAVING TO USE A PROFESSIONAL KIT CONTAINING A MILLION DIFFERENT TOOLS? Yep, that’s not a problem. 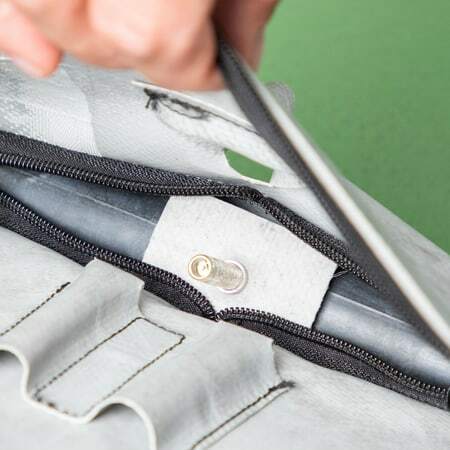 The tube is hidden behind a zip compartment. All you have to do is pull it out, patch it up and put it back in. 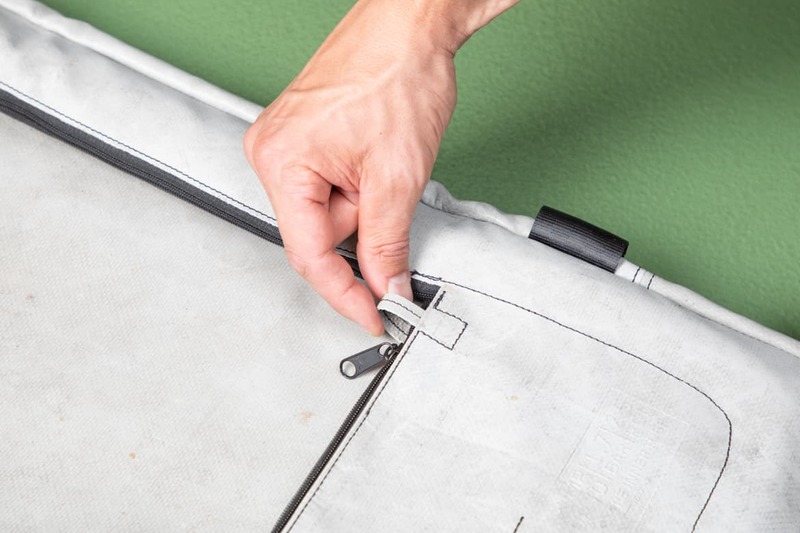 You can use the same method (minus the patching up) if you want to put in a new inner tube. 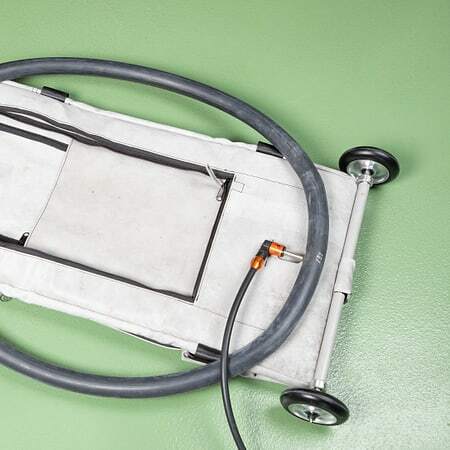 After mending or replacing the tube, pump it up to 1.7 bar (25 PSI) and you’re all set. 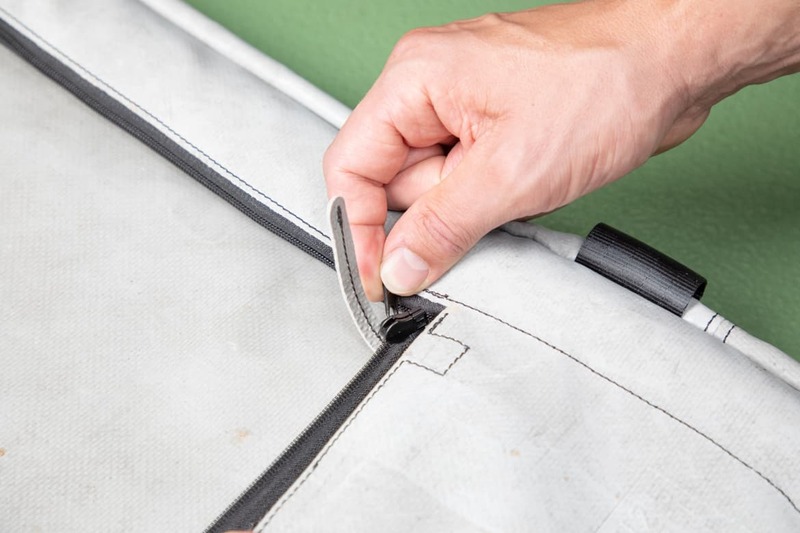 A handy list of instructions on how to replace the inner tube is provided below. Click on the image to make it larger and read the accompanying text. WHERE CAN I ORDER REPLACEMENT PARTS IF I LOSE SOMETHING? Get in touch with us if you need new wheels, quick-release axles, etc. I’VE LOST MY VALVE CAP. WHAT SHOULD I DO? Don’t worry. It’s no reason to spoil your holiday, business trip or week in the Alps (if that’s what you’re doing). The inner tube won’t lose any air. The cap is only there to protect the valve from dirt, not to seal it.